Travel back to those bygone days when the driver was king, with these six vintage car shorts. 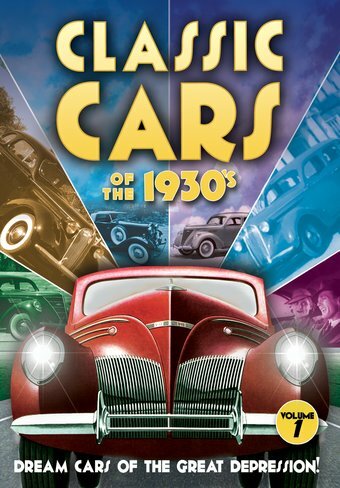 The 1930s was the first decade that truly demonstrated how luxurious an automobile could be. With the Great Depression in full swing, only the wealthy could afford a car, so manufacturers made sure prospective buyers got their money’s worth. Cars became less a method of conveyance and more a mighty fortress in which the driver was king. Travel back to those bygone days with these vintage short subjects. THE SAFEST PLACE (1935): According to this film, Chevrolet’s 1935 models are “the safest place in the world you can be”...as demonstrated when prospective drivers slip on bars of soap and fall off ladders! With their redesigned bodies and chassis, these Chevys are “solid steel living rooms on wheels!” We’re also shown the car of the future, with an “automated driving mechanism”...no motorist necessary! TAKE IT EASY! (1936): This Chevrolet film explains how important it is to have shock absorbers on your car, with a full demonstration of the “Knee-Action” front suspension system that was used on the manufacturer’s 1934-1938 models. NEW ROADS TO ROAM (1936): This half-hour film sponsored by the Ford Motor Company utilizes “a cast of internationally famed actors” to tell the romantic story of a stodgy old college professor reconnecting with a former flame...all while promoting the brand-new Lincoln Zephyr V-12! On inspecting the trunk, our leading man remarks, “Why, there’s enough room in here for a life-size mummy!” (He may have been watching too many Universal horror pictures.) The “internationally famed actors” include Lois Wilson, Conway Tearle, Natalie Moorhead, and Niles Welch. BONUS: Devil Drivers (1939): This RKO “Sportreel” features ten different auto races in one film, including the Indianapolis 500 and the Monaco Grand Prix!